Two new devices are here! 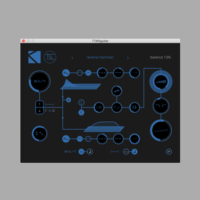 We are so excited: after more than one year of development, we can finally inject some new fuel in your Live sets! And this is really something new: the devices we introduce today are part of a brand new series, the OOG tools! “OOG” standing for Out Of Grid, this series includes a set of incredible Max For Live devices designed to write music and control instruments and effects in a brand new way. They both introduce a new approach and new features to their class, for example the bend parameter, exclusive relative duration for each step, snapshots, advanced random functions, and more. Both devices also offer a beautiful custom Push2 template that improves the control and even adds exclusive features. For full details, check the product pages of MOOR and Twistor. These pages include also a link to downloadable manual. MOOR and Twistor are already available at our shop for respectively 29€ and 19€. Next PostiOS, here we are!